In memoriam, I thought it would be nice to talk some about Gary Gygax today. As some of you may be familiar Gary passed away on this day in 2008. I will not spend any time on the subject of loss since that voluminous task would be impossible to realize. Instead I wanted to take a look back to my earliest memories of Gary Gygax and how he was inspirational. I remember 1983 very well since it was the year I started playing the Dungeons & Dragons game. In August of that year the AD&D Dungeon Master’s Guide was one of my birthday presents. 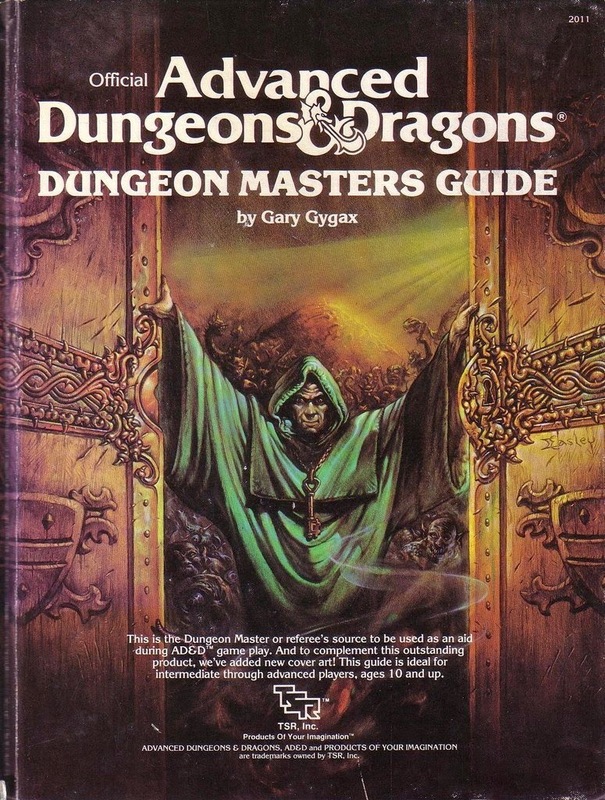 There emblazoned on the cover was the name Gary Gygax. Well this was a strange and interesting surname for sure. For a bright eyed 11 year old it just added to the mystique of the game. Who was this Gygax? Where did he come from? How did he make this incredible game that I cannot wait to play when I get home from school? The questions were endless for a bunch if young kids who had no contact with the outside gaming world beyond a Dragon Magazine. I recall fondly arguing with my fellow players during those early years in regard to the correct pronunciation of the surname Gygax. Was it Ghe-gax, Gy-gaks or Gax? It was not until I was much older and the advent of the internet that I learned Gy-gaks was indeed correct. Apparently Gary held that the etymology of his Swedish surname means giant in some form. I find this little factoid most appropriate since Gary had such a giant influence on my imagination as a child. 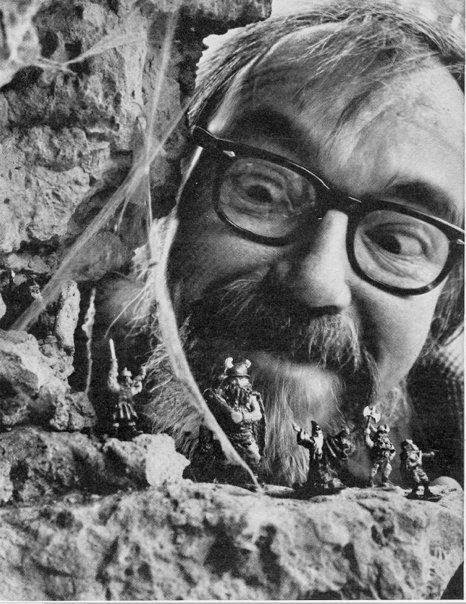 I can honestly credit Gary Gygax with inspiring me and countless others to keep our imaginations alive well past childhood. Imagination is truly the workspace of our brains and role playing games help to keep the fire stoked and the engine pumping. So many people let the imaginations of others enthrall them with movies or a good novel. The former is fine but as most D&D players will tell you it’s much more fun to design and play in your own sandbox. That is the beauty of the game which Gary Gygax helped to create. Here we are forty years later with a form of imaginative play that can be developed by friends seated around a table. I can think of no other activity so cerebral and entertaining even in this time of incredible media experiences. So later today when you have a chance dig out your favorite d20 and give it a spin. Somewhere just maybe the first dungeon master may be smiling at you. Thanks Gary for all your contributions to the hobby that so many of us love and cherish!